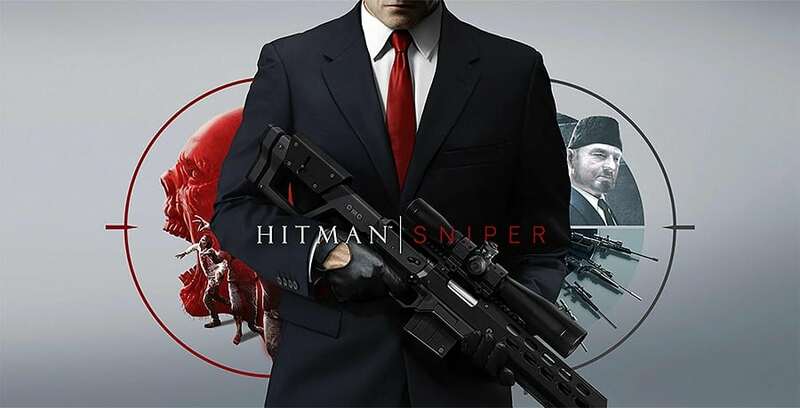 Hitman: Sniper for PC is a great game that brings out the best from the world’s favorite assassin. The only thing that you need to do is snipe a few targets however the developers turned it into a puzzle that forces you to make the most out of each weapon. The design on this concept by Square Enix Montreal is outstanding. The entire game comprises of one level which is at a party. Your hitman, Agent 47, stakes out the party where the house is hosted while he looks around for his specific target. There are plenty of other high-level targets and bodyguards in your way therefore the murder-count is likely to be much higher than one. Successful completion of the game will involve accomplishing secondary missions as along with the main objective. For example, you will need to dispose of bodies as you lay them out in order to keep the alarm from being raised. Other scenarios cause the mission to keep getting more and more complex as it sets you up to execute domino kills. Because the scenario is so large, many opportunities come and go without your knowledge. For example, there is a small window early in the game where you can kill your target however once that window passes then you’re going to have to find another way to kill her. In some cases a difficult guard will isolate himself which makes for an easy kill that won’t raise any alarms. Every person at the party moves in predictable patterns however they are affected by your actions. The routines stick in after playing for a while and you will be able take one action after another, confident in your knowledge of how the situation will play out. 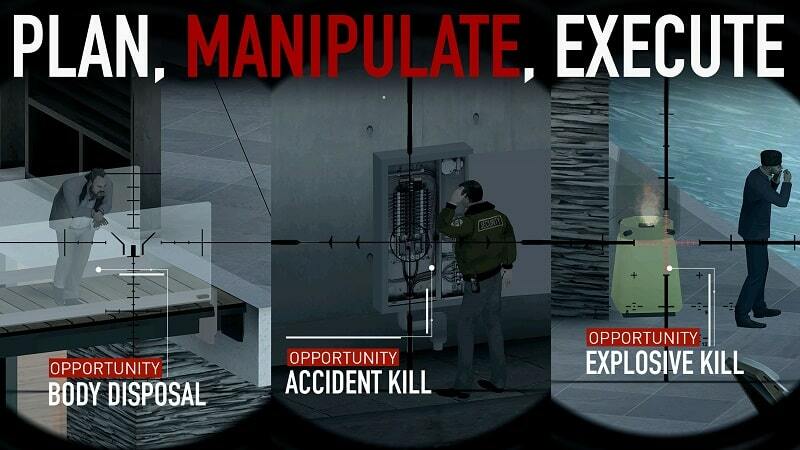 After you’ve gotten enough experience, a double headshot becomes easy. Being a sniper means that there are certain parts of the story that remain unanswered. You’ll never know what drove those lovers into the park, or what those dodgy-looking men were discussing, or even why Tuulia Hernandez is trying to snipe someone. You only get the faintest hints as to what is going on however that’s more than you need to complete your mission. As you progress through the mission, you earn money which you can use to upgrade your weapons. To add a bit of chance, there is a roulette section that gives you random weapon parts when you spin. Hitman: Sniper for PC is a fun game with crisp visuals and an engaging story-line. One playable area limits how much you can really do and makes it get very repetitive, very fast. At barely under a dollar to buy, this game counts as a premium game however certain elements of free-to-play are thrown in. For ten dollars you can buy the most powerful rifle available but that’s denying yourself the pleasure of working up to it. Hitman: Sniper for PC is a brilliant game that anyone who likes guns will enjoy. The execution is close to flawless however having only one playable level will leave players frustrated. The only thing that keeps this from being an instant classic is that it feels like it has not achieved its full potential. I hope you enjoyed this article, please rate and share. If you have problems running Hitman: Sniper on your desktop or any other issues, leave a comment below.